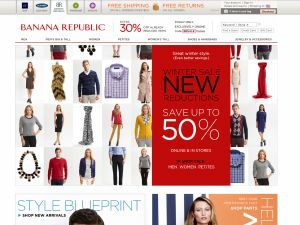 Coupon Code click to activate Starting 12/27, shop Banana Republic for 30% off already reduced items! Use code BRSALE30. Hurry! Offer ends 1/2. Restrictions apply. Coupon Code click to activate Everyday FREE Shipping on $50! Found a coupon for Banana Republic?